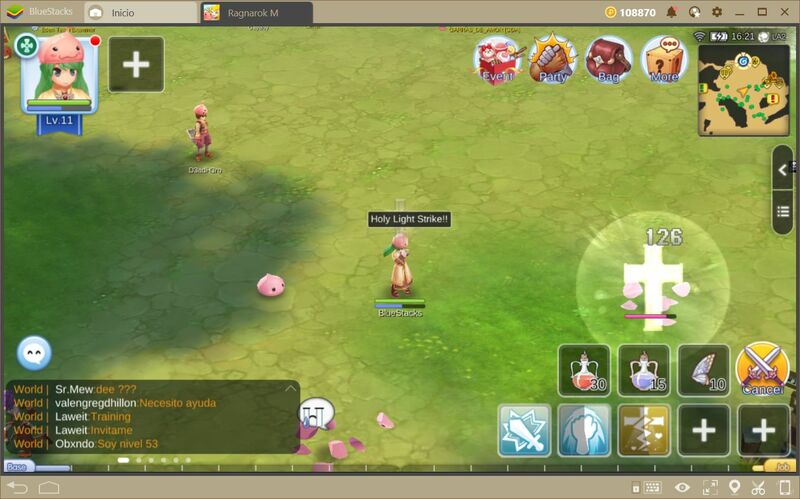 Ragnarok Online is a game with a long history in the online gaming community, whose existence extends from its release in China in 2002, up till now, where around 2 thousand players still visit the game’s official servers. This is without mentioning the wide variety of private servers that are created and managed by fans, and for fans. What we want to say with this is that, despite the years, Ragnarok is still a very popular game, which explains why Gravity, the developers of the original game, would want to recapture interest with a new mobile game in this series. 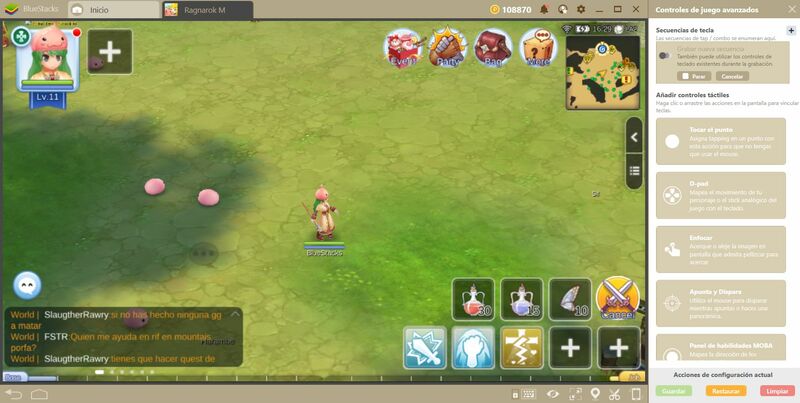 However, for MMORPGs that offer combat in real time, such as Ragnarok M, the touchscreen controls and small screen size offered by mobile platforms work against the player, and could diminish their performance/enjoyment in the game. 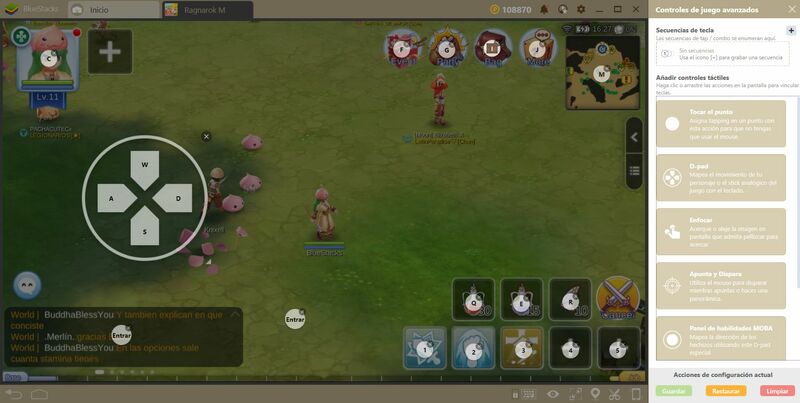 If you don’t want that, you can play Ragnarok M: Eternal Love using the BlueStacks Gaming Platform to enjoy an experience very similar to the classic game, i.e. with a big screen and keyboard/mouse controls. 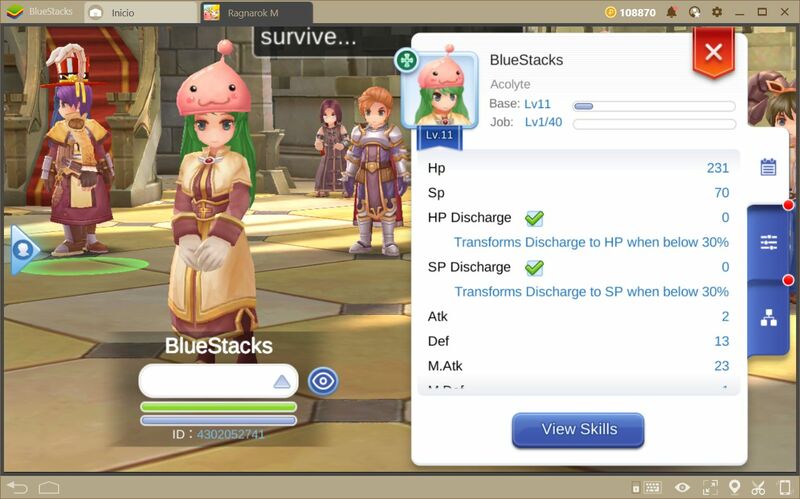 In this article, we will explain how to configure your BlueStacks to achieve this goal. Customizing your own controls is easier than ever with the new Keymapping tool of BlueStacks 4 and we will do so in this section. Nevertheless, we recommend that your first read up on the basics of this tool in our BlueStacks Keymapping Tool Guide before moving on. 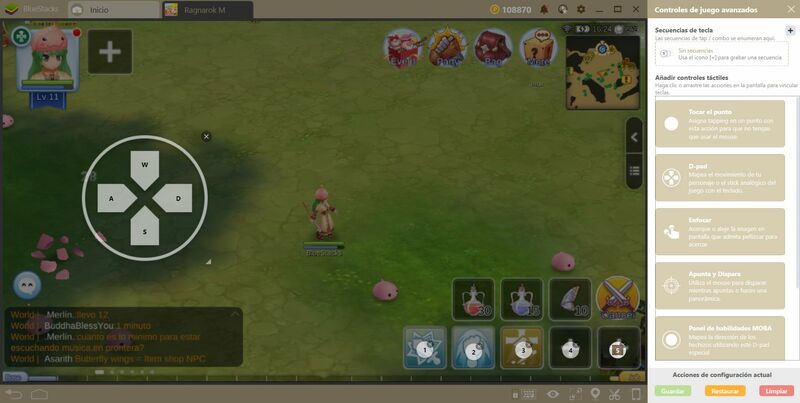 In Ragnarok M, you can control your character with a digital joystick that appears when you click and drag your mouse anywhere on the screen. However, you can also move your character by clicking on the ground at the desired destination. If you want to preserve the experience of playing the classic game, we’d recommend sticking with the latter. However, those who are uncomfortable moving with the mouse could benefit from using our d-pad. If you place this function anywhere on the screen, you will be able to move your character using your keyboard (by default, with the WASD keys). With movement out of the way, we can focus on combat. In this game, you can attack enemies by clicking on them. However, you can also find several buttons on the hotbar to facilitate the process of targeting specific enemies. Your hotbar is the one located on the lower right side of the screen. 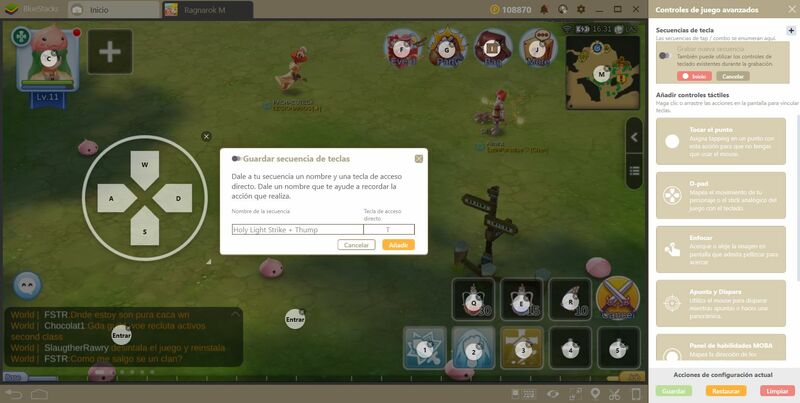 In this bar, you can set skills and actions for quick access whenever you require them. For instance, the “auto attack” action targets the nearest enemy and makes your character attack it with melee attacks until the enemy is defeated. With that being said, if you want to speed up your access to this bar, you can go ahead and assign some “tap” functions to each slot, and bind them to your keyboard. 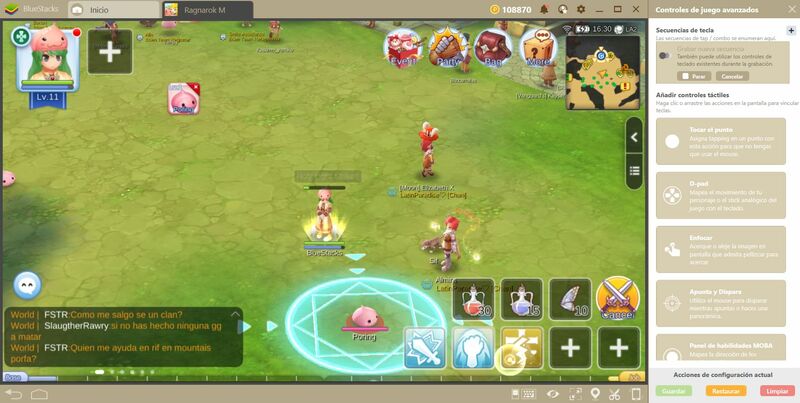 Play Ragnarok M: Eternal Love on BlueStacks 4 Now! Just remember that, as you progress through the game, you will unlock more slots, which means that you’ll have to add more shortcuts to the bar if you want to bind all your active skills to the keyboard. However, the setup is, ultimately, up to you. You have complete freedom to customize your keys however you see fit, so you don’t necessarily have to follow our exact instructions. Your creativity is the limit here! Another tool that we feel could be useful is the Combo Key, through which you can record command sequences of any duration, and reproduce them at any other time. Just like with the key mapper, the correct usage of this function is limited by your creativity. Nevertheless, it is an excellent alternative to reduce the monotony of some tasks, as well as to increase your performance in combat. In Ragnarok M, you can use the combo key to record strings of skills and use them one after the other, with the press of a single key. However, before we explain exactly how to go about this, we recommend you take a look at our Combo Key Setup Guide, in which you will learn everything you need to know about this tool. However, if you already know how to access the Combo Key and record your own combos, then let’s move on. Go to a place where you can fight against monsters and start recording. While recording with the combo key, execute a string of skills. When you have successfully finished your chain, stop the recording, give the combo a name, and assign it to any key of your convenience on your keyboard. If you want to execute the sequence in the future, all you have to do is press the corresponding key. Remember that the Combo Key only records keystrokes and clicks, so if you move some of your shortcuts around on your hotbar, you may have to record the respective combo again to achieve the same result. Nevertheless, combos, in general, are not necessary to enjoy this game since it’s very easy to get into and just play. Use them if you wish to save clicks and/or wish to replay a signature move that you executed perfectly once. Luckily, with everything we discussed in this guide, you will now be able to configure a personalized Control Scheme for the game. Have you checked out Ragnarok M: Eternal Love on BlueStacks 4 yet? Share your control schemes and favorite combos for the game in the comments section below and help fellow enthusiasts out.